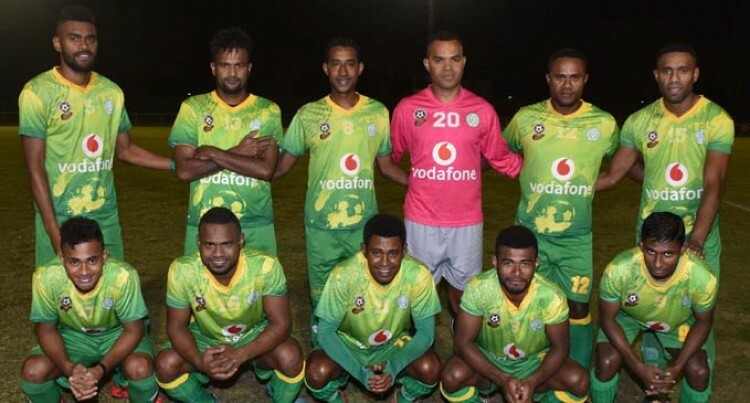 Indiscipline and lapse of concentration proved too costly for Dreketi as they were beaten 3-1 by Nadi in the Vodafone Premier League clash at Churchill Park, Lautoka yesterday. The visitors had to play with 10-men after reliable defender Akeimi Ralulu was red carded in the 24th minute after they had taken a 1-0 lead. What happened: Dreketi started strongly and took the lead in the 22nd minute through a Rusiate Doidoi freekick. But their joy was short-lived when Ralulu got his marching orders while Nadi striker Rusiate Matererega got a yellow card. The scoreboard did not tell the full story of the game as Dreketi dominated play while the Nadi defenders worked overtime in trying to contain them. But a lapse in concentration allowed Nadi to hit back with two goals to Matererega while Rupeni Rabici scored the third goal in the 70th minute. Comments: Dreketi manager Daniel Dass said: “Even though we took an early lead, it was poor discipline and lapse of concentration that cost us the game. Nadi coach Babs Khan said: “The game was a wake-up call for them. We took Dreketi lightly and almost paid for it. We were unsettled all throughout the first half.